Timmy is skating on ice collecting Eggs for his Eggy Bread! But Angry Chicky is not 'aving it! Get the PRINT or KINDLE version and enjoy a nostalgia blast from the 80s! 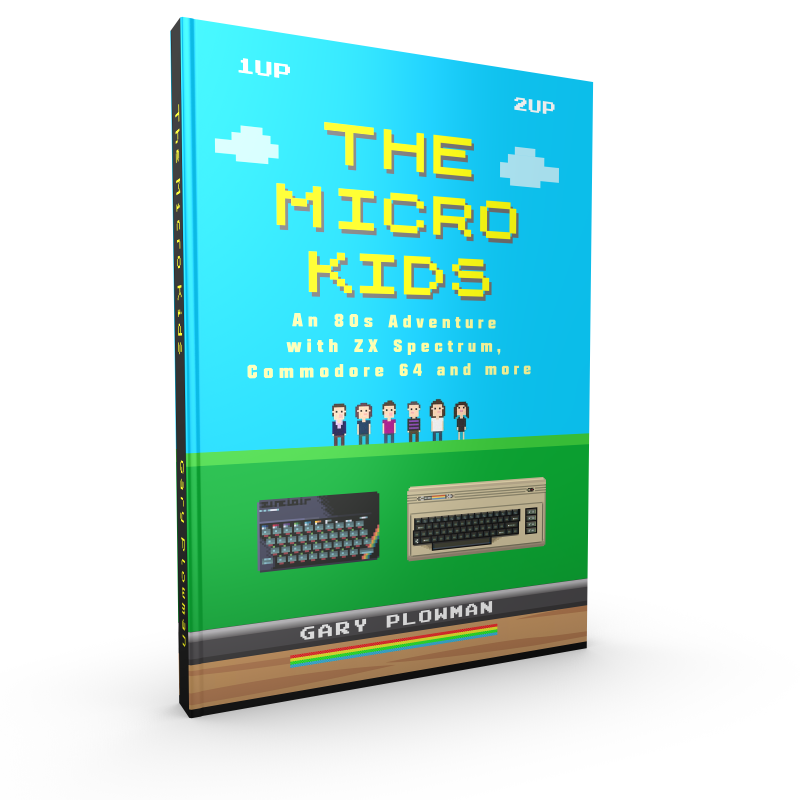 If you ever wanted to know what how 80s UK & European kids experienced growing up with Microcomputers during the boom years, then this might be of interest. That said, it is also a window in the 80s pop culture of the time and intertwined with a light adventure yarn. It is based around the Micro called the ZX Spectrum but also includes Commodores and some others. The ZX Spectrum is reason I got into coding and eventually Game development. Anyhow, I will also have a kindle version ready in a week or so. Well Done to everyone that entered!!! Overall Winner is Break/Space! Great job! One of my favourite games from Speccy and then the sequel on Amiga. Seriously, amazed at the work gone into this :) David and Ian would be proud I'm sure! Type RUN and make a cuppa tea - Just great! Nice, suggestion to speed up paddle to move 1 space initially then 2 space if held down. Nice - Good job with the embedding :) - my own attempt is not working with jsspeccy for some reason?! Clever use of POKEs and IN ports for keys. Hopefully you can update this with some AI. Love it! I am a very fond of the old text adventure. Keep up the good work! Good stuff! I am using IN ports to check for keymap presses to allow multi-key use for better control responsiveness. I am using QAOP too, as they reside on different ports which means they won't conflict with each other. I have compiled a linux version but cant test and my linux compiler can be problematic. I added a version if you want to try to get it working.